The Drama School of the National Theatre of Northern Greece initially operated in 1973. The studies hold for three (3) years, the attendance of the courses is compulsory and the tuition is free of charge. One can attend the course of study of the school after participating in the preliminary exams, as well as, the introductory exams, if they are qualified to do so. During the introductory exams the candidates are examined on specific topics, which differ every year. 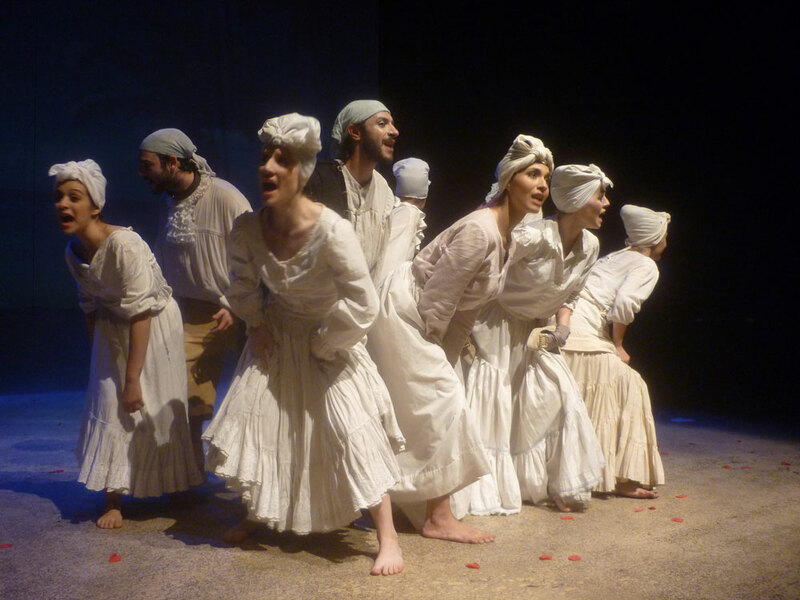 The courses of the Drama School include: acting, improvisation, movement, music, poetic utterance, theatrical song, dance, speech training, dramatology, history of Greek and international dramaturgy, history of literature, costumery, scenography, theatrical make-up, sword fighting, Greek traditional dances, history and practice of the cinematic art et al. Furthermore, special seminars are organized frequently. Mr. Giannis Rigas has been the warden of the Drama School.